Alfreton Town head to Brewery Field tomorrow afternoon looking for a fifth league win in a row as we face third placed Spennymoor Town in the National League North, kick off is 3pm. The Reds last outing was the 2-1 win at bottom club Nuneaton Borough two weeks ago, Alfreton will be eager to get going again after a lengthy break due to the Hereford fixture last Saturday being postponed. Billy Heath will be looking to kick on again and continue the momentum from the Nuneaton win and close the gap to the play-off positions. Our current gap still stands at eight points after last weekend and mid-week fixtures. It was another difficult encounter for Alfreton who had to navigate gail force winds and a battling Nuneaton side to claim the points two weeks ago. The first half presented few chances with Dec Bacon having a few good openings, Sam Ramsbottom was alert to race out of his area well to deny Edmunds clean through. Both sides traded possession throughout the first half but there was nothing to seperate the sides at the break. We took the lead on 67 minutes with a towering header from Luke Shiels before a mix up at the back allowed Edmunds to fire into an empty net from a tight angle. With frustration creeping in as time ticked away, Reece Styche was brought down in the box to give us a penalty with 87 minutes on the clock, Jordan Sinnott stepped up and converted to seal a huge win on the road. With four straight league wins recorded the Reds will be eager to keep the form going against a Spennymoor side who have hit a dip in form in their race for promotion. We head into Saturday's game looking for a fifth straight league win and a sixth win in a row in all competitions. The in-form Reds are fifth in the form table with Brackley, York, Stockport all on the same points after five games (12) and Bradford PA leading the form book with 13 points after five. Alfreton will be looking for a fourth successive away win in all competitions and a third on the spin in the league after wins at Nuneaton and Guiseley. We last tasted a defeat back at Curzon in early February, losing the game 3-2; which in turn was also our last away loss. Spennymoor currently sit in third place in the league table with 60 points from 34 games. Their currently playing record sits at: P34, W17, D9, L8. The hosts have hit a dip in form ahead of our visit tomorrow and head into the contest having not won in their last four league games (D1, L3). Spenny will be looking to avoid a third straight league defeat after a mid-week loss at home to Bradford PA (0-2). Moors are still well in the hunt for promotion and will be looking to return to winning ways at home after just one win in their last three home games in the NLN. Reece Styche is absent due to being away on international duty with Gibraltar. James Clifton also remains a long term absentee due to recent surgery for his injury. 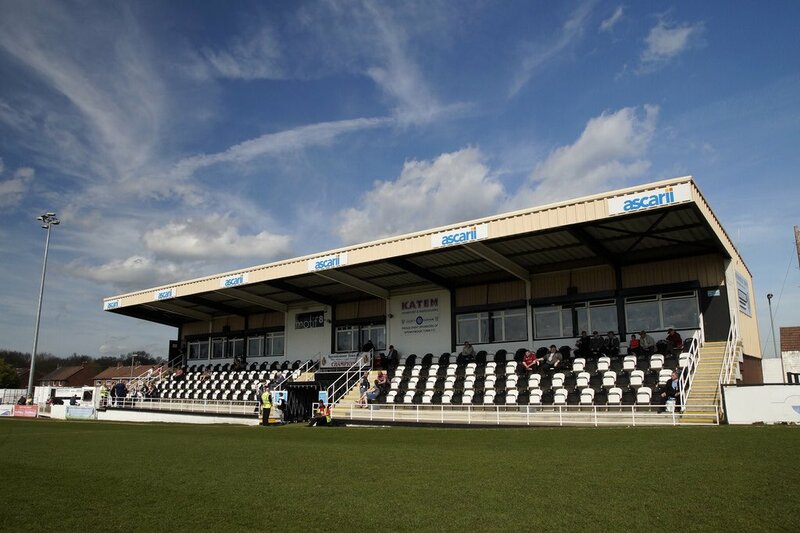 Spennymoor Town Football Club, The Brewery Field, Wood Vue, Spennymoor, County Durham, DL16 6JN. There will be a series of activities and celebrations marking the two towns’ mining heritage at tomorrow's game. Alfreton Town 1-7 Spennymoor Town (Saturday 8th December 2018): December saw the Reds worst ever league defeat at home, as Spennymoor hit an astonishing seven goals at the Impact Arena with Taylor scoring another hat-trick, Brogan, Chandler, Tuton and Johnson adding to the scoresheet. Reece Styche pulled the score to 3-1 in the first half but the nightmare performance was tough to take for the Reds who slumped to a heavy defeat.